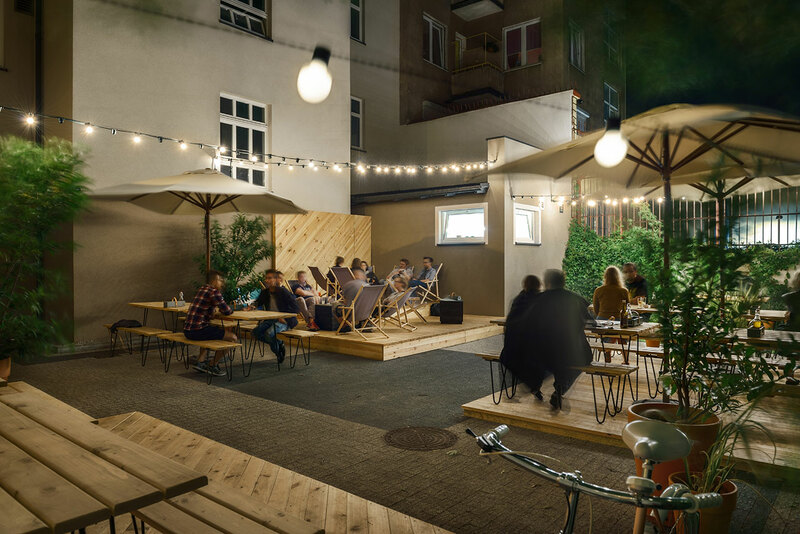 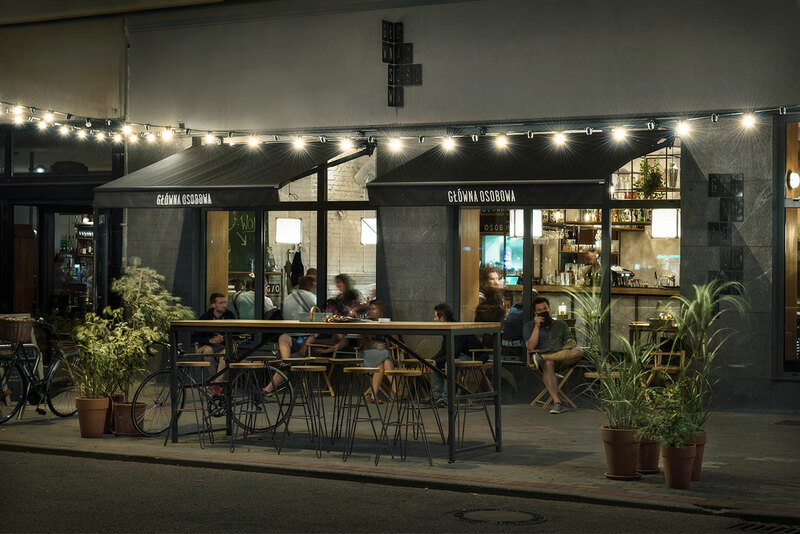 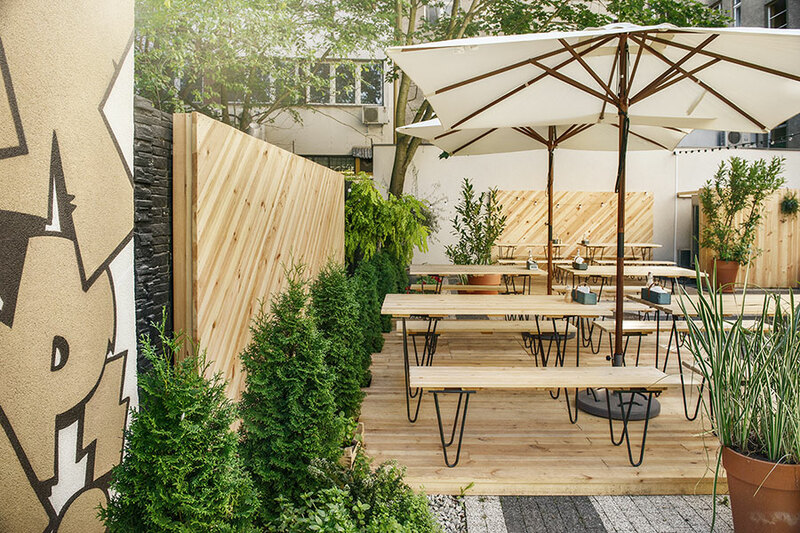 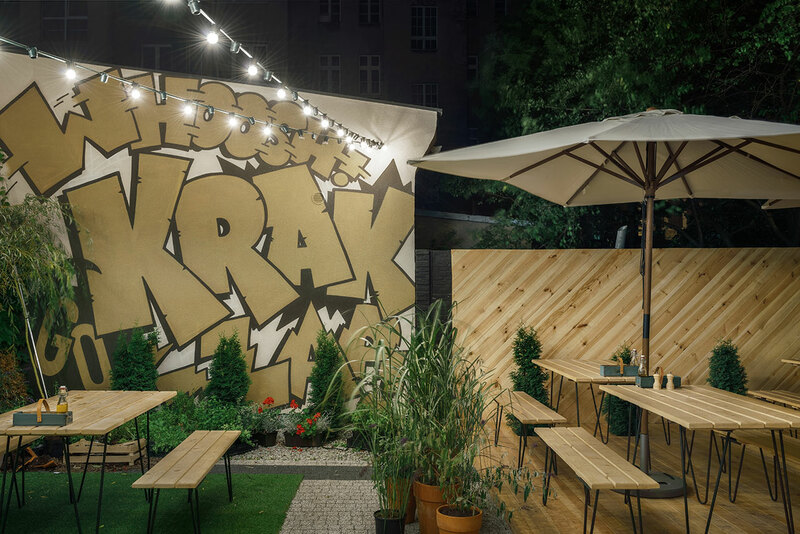 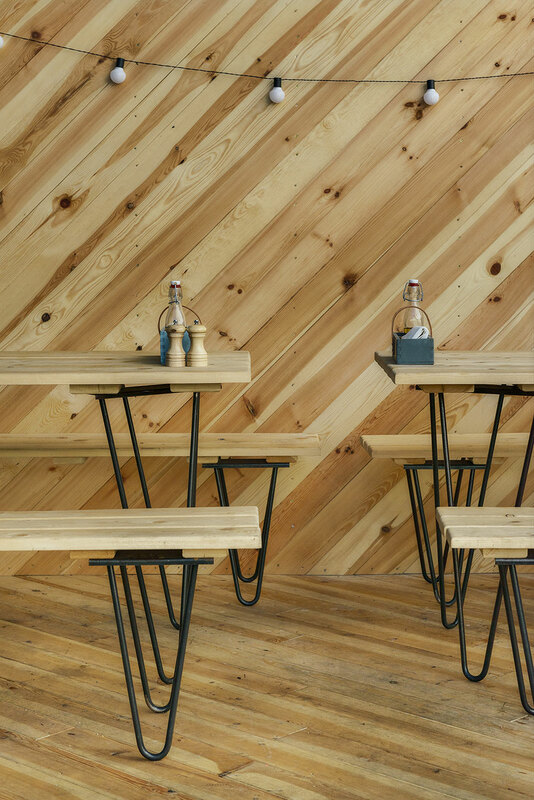 Designed as a sophisticated yet casual all-day café, bar & restaurant, Główna Osobowa in downtown Gdyna, Poland, envisions being the go-to spot in city’s pub-life. 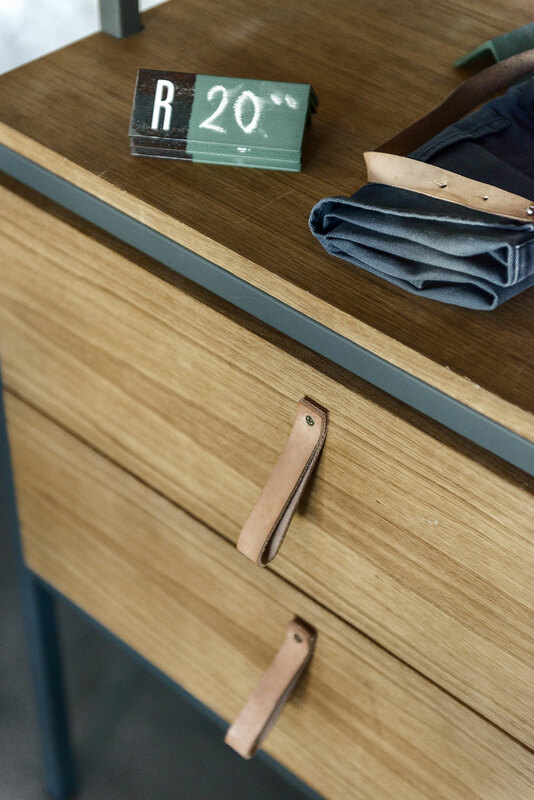 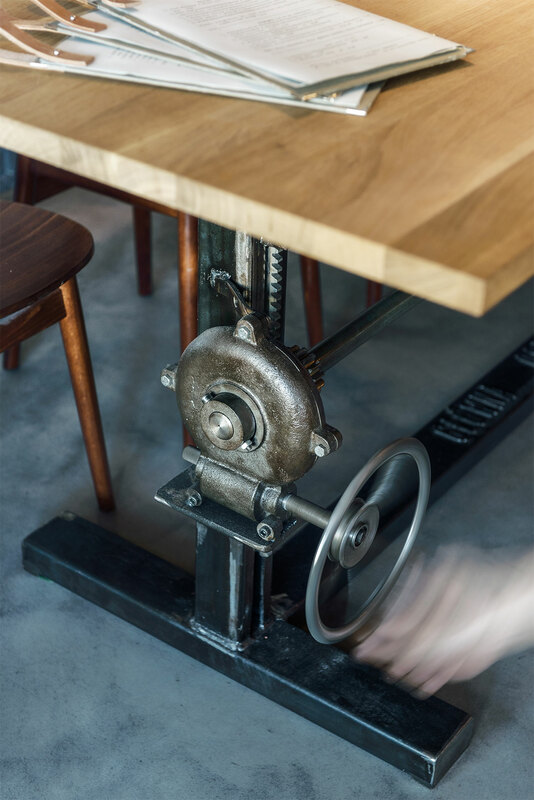 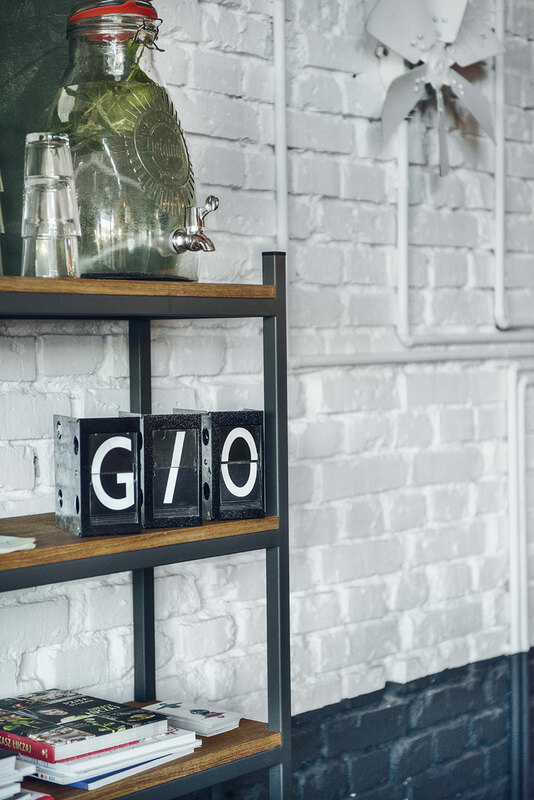 Opened in June in a city grown out of its large container port, shipyards and freight train infrastructure, the place has a vintage industrial aesthetic rendered into modern loft living which makes for an effortless transition from day to night. 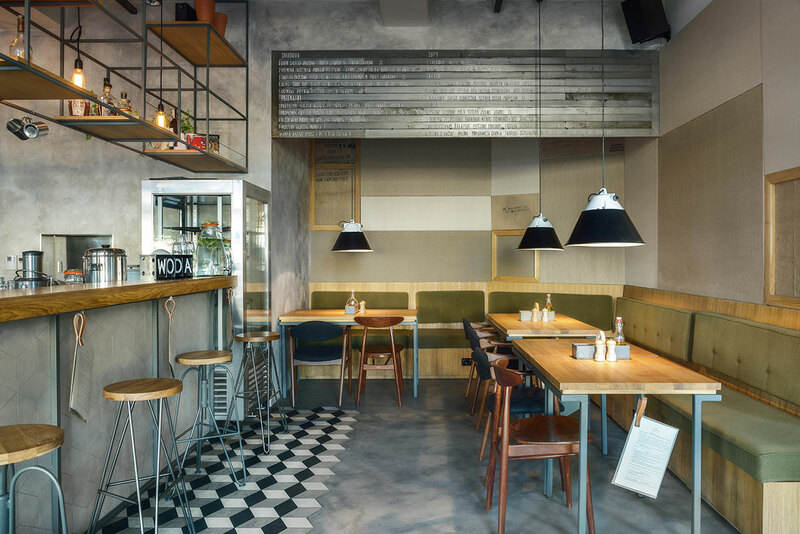 Centred around the bar in the middle of the space, the abundantly day-lit interiors feature exposed piping in the ceiling and concrete surfaces and steel-framed shelving, softened by an off-white, light-grey colour palette, the use of oak wood for tables and shelves, woven fabric panelling, as well as green plants. 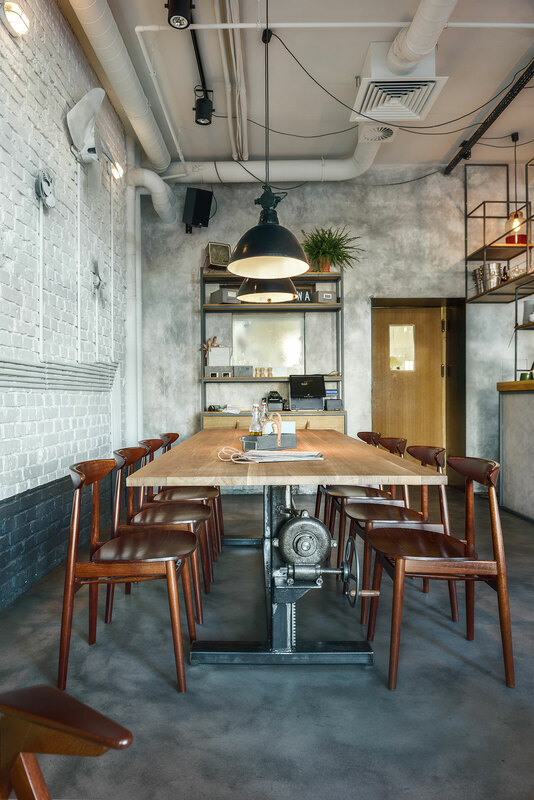 Although the design is minimalist in principle and the space sparsely furnished with uncluttered communal tables, it feels very cosy due to the designers' DIY approach and their special attention to detail. 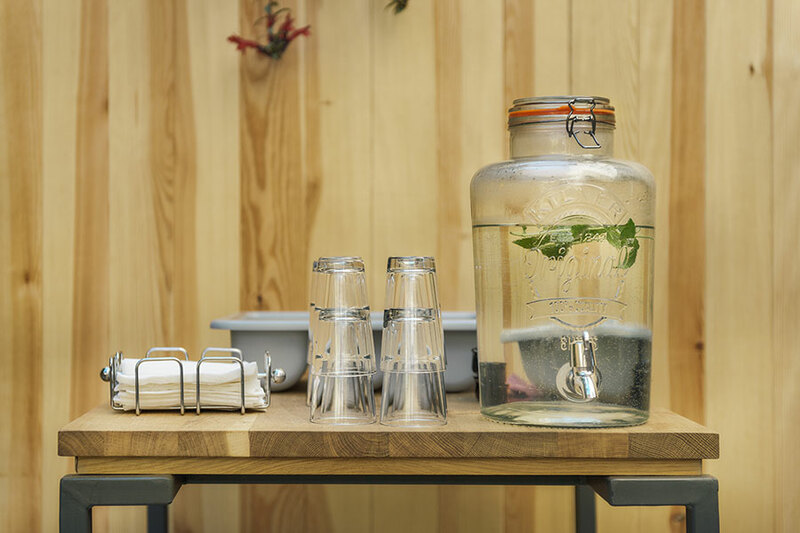 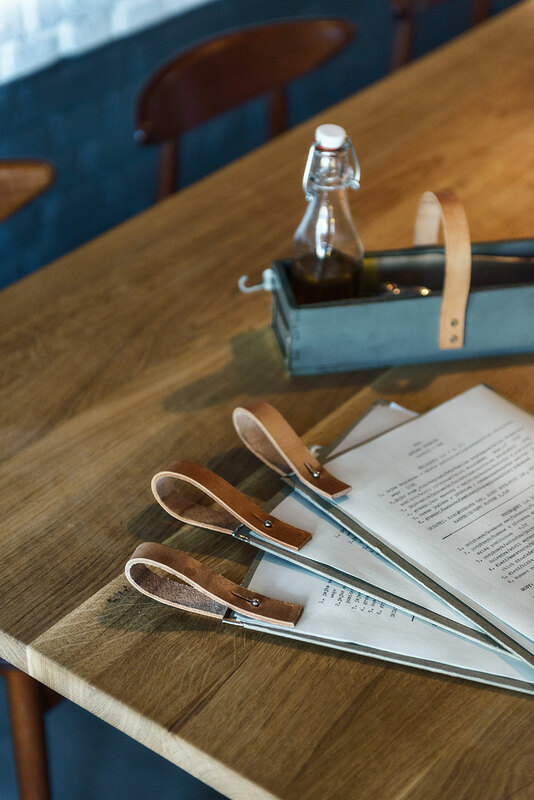 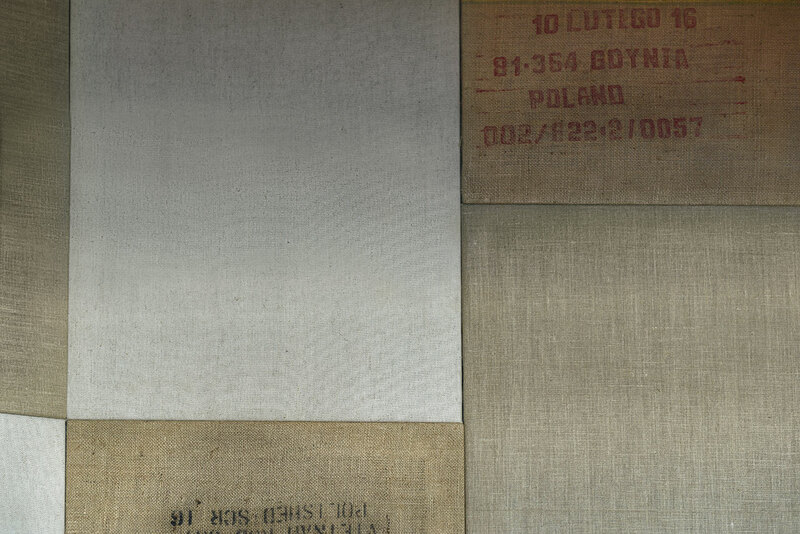 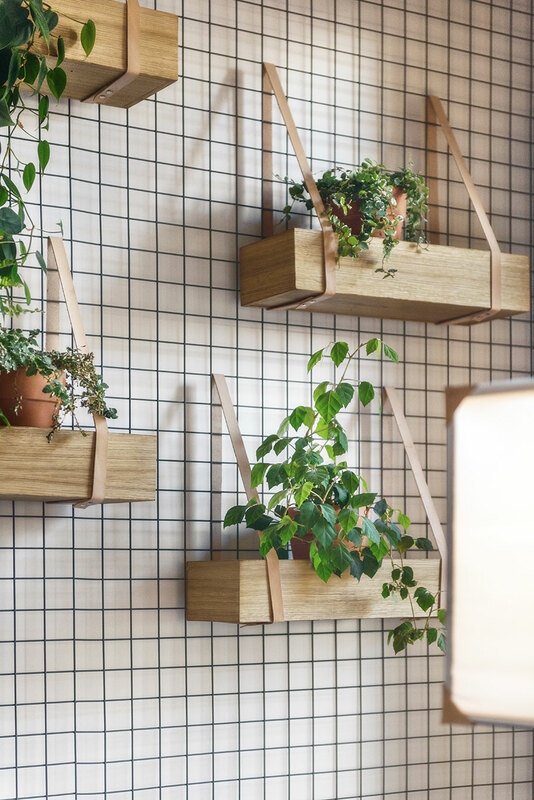 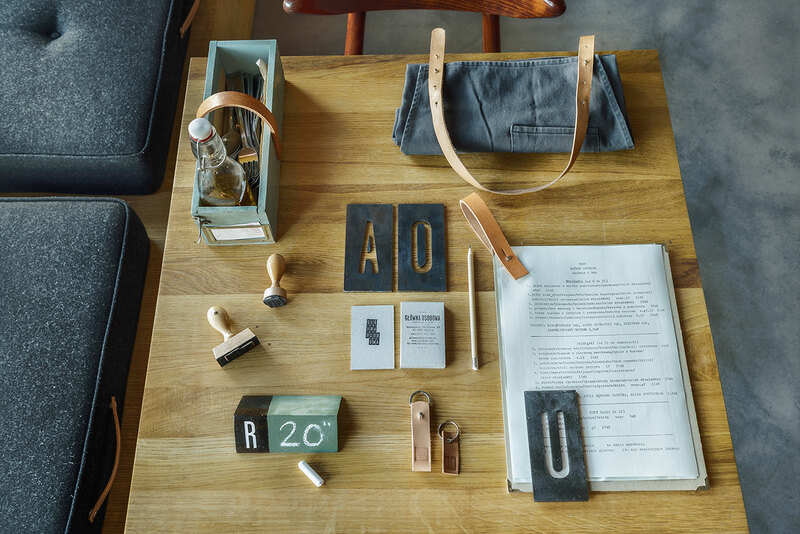 For example, leather straps have been carefully designed and made by hand — to then be utilised for different purposes, such as to hang wooden plant-pots on mesh panels on the walls, bind the typewritten menus that the customers leaf through and to accessorise the staff uniforms. 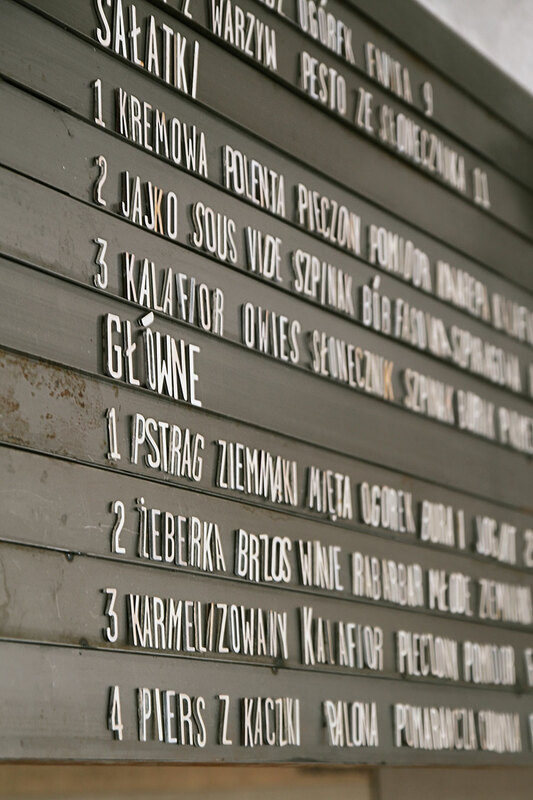 Other detailing, paying tribute to the restaurant’s namesake (the local train station), includes the old-school train timetable styled metal menu on the wall and the illuminated restroom signs. 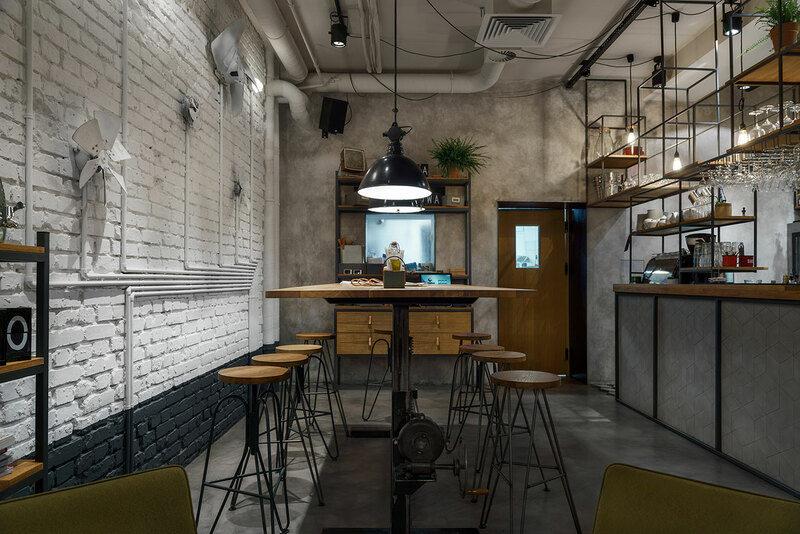 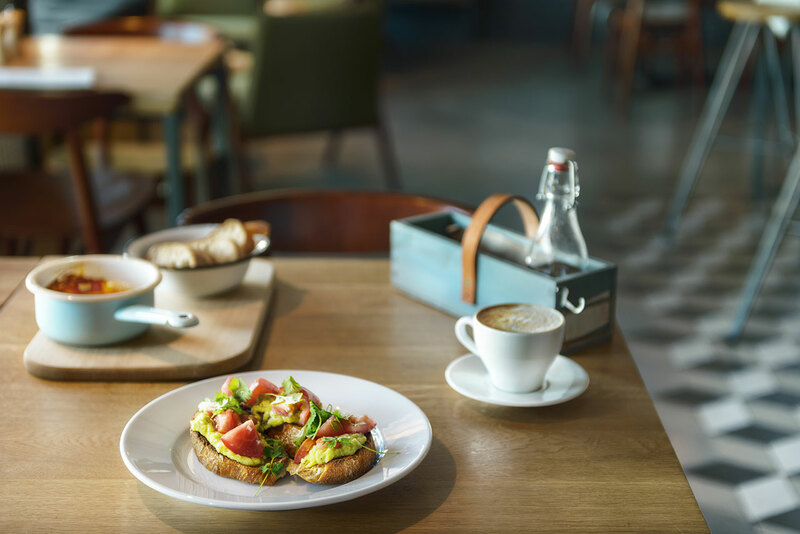 The eclectic simplicity of the interiors is also reflected in the restaurant’s offering of fusion cuisine based on seasonal and local products. 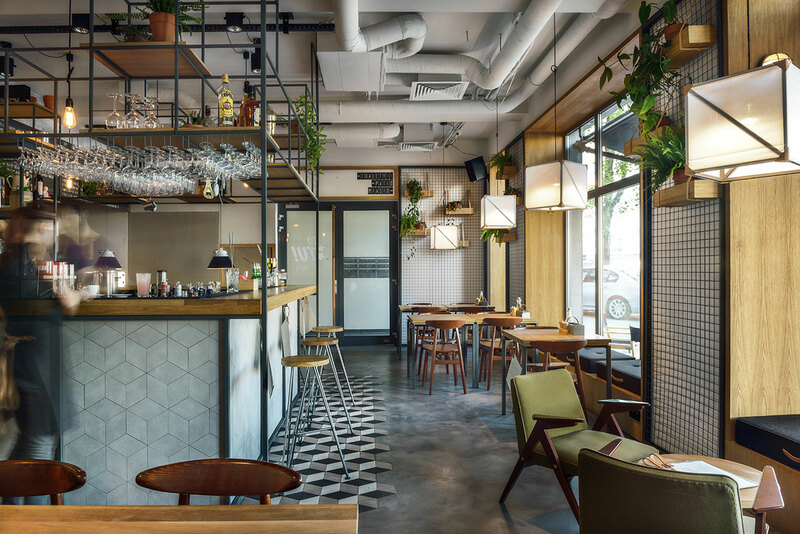 With plates such as ribs with peach and rhubarb in a sauce of mustard and caramelised cauliflower with coconut and pickles, and a cocktail menu to match, customers can be expected to keep coming back.